WhatsUp Gold delivers detailed and actionable data on network traffic and bandwidth consumption, which helps you establish and enforce bandwidth usage policies, control ISP costs, secure the network, and provide the network capacity required by users, applications, and the business. These tools not only highlights the overall utilization of the LAN, WAN, and the internet, but also indicates which users, applications, and protocols are consuming bandwidth. 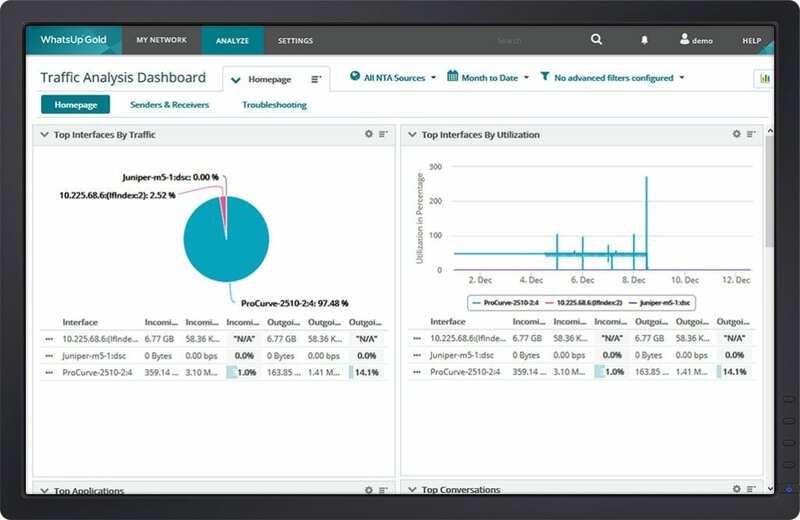 Analyze bandwidth consumption across networks, servers, applications and more. WhatsUp Gold collects network traffic and bandwidth usage data from any flow-enabled device on the network. It supports Cisco’s NetFlow and NetFlow-Lite as well as NSEL protocols, J-Flow, sFlow and IPFIX. 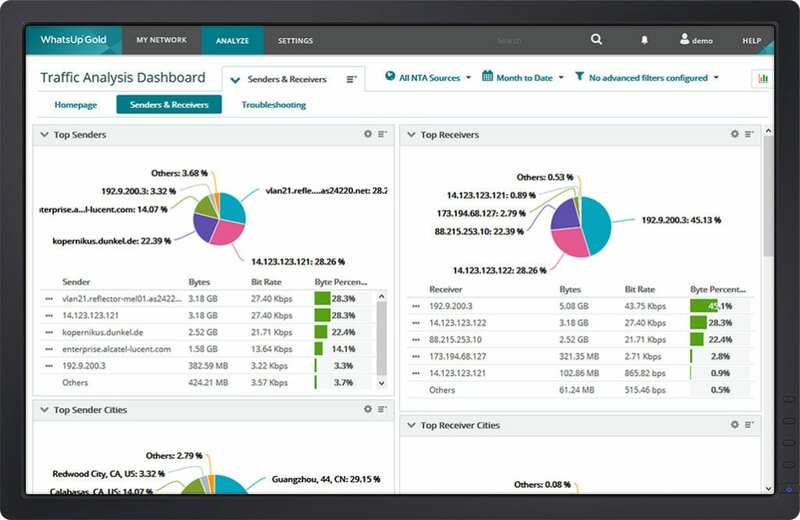 Collect and view data for Cisco CBQoS (Class-Based Quality of Service) and NBAR (Network Based Application Recognition). WhatsUp Gold provides threshold-based alerting to help you address bandwidth problems before they impact your users, applications, and business. 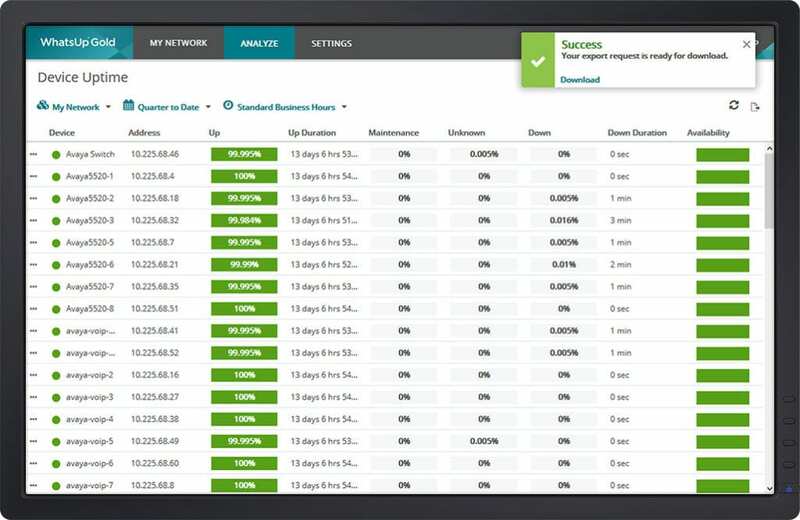 It alerts you when senders or receivers exceed bandwidth thresholds, when interface traffic exceeds utilization thresholds, and when you exceed failed connections and the number of conversation partner thresholds. Monthly ISP bandwidth charges are expensive. You don’t want to add more bandwidth unless you need it. WhatsUp Gold software lets you drill-down to identify the sources and destinations of your internet traffic, the applications consuming internet bandwidth, and the users of those applications. In this way, you can ensure that your business-critical web applications are getting the bandwidth they need. WhatsUp Gold also provides a simple tool to create custom alerts. You can create alerts for protocol traffic. For example, a sudden spike in UDP traffic can indicate a denial of service (DoS) attack on your network. You can create custom alerts for application traffic. For example, you can get notifications when users are consuming expensive internet bandwidth on non-business applications like YouTube or Spotify. You can even create custom alerts for host traffic. For instance, receive alerts when large files containing sensitive data assets are transmitted over the internet. 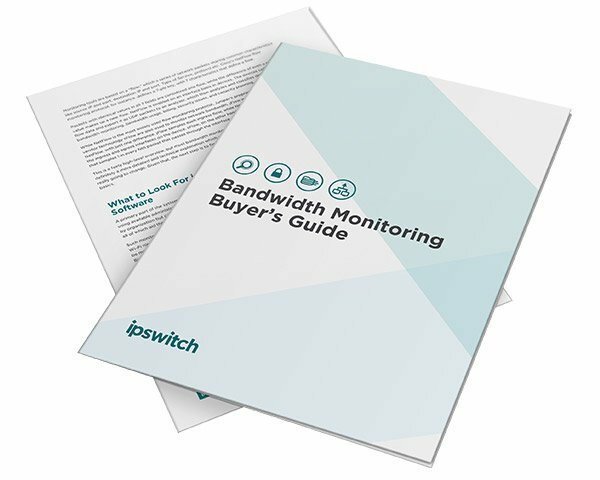 Learn what to look for in a bandwidth monitoring tool and how to stop manually monitoring your networks, avoid DDoS attacks; and ensure adequate bandwidth for business-critical applications now and in the future.